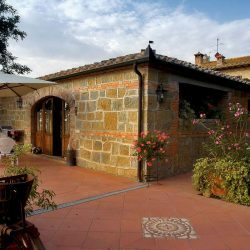 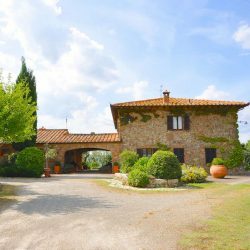 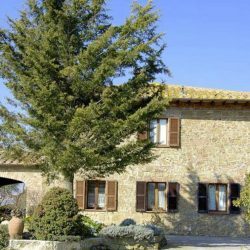 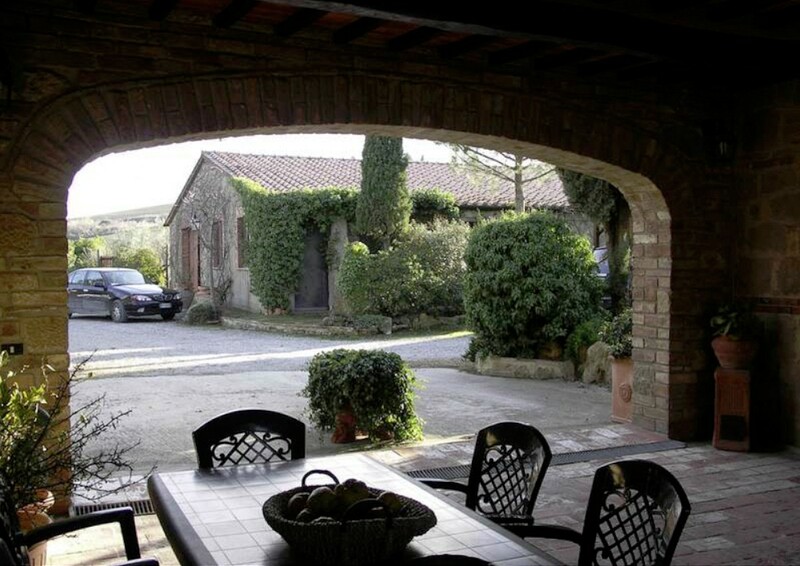 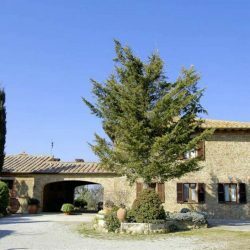 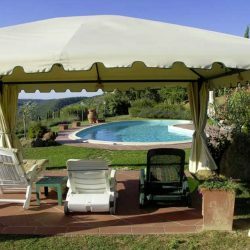 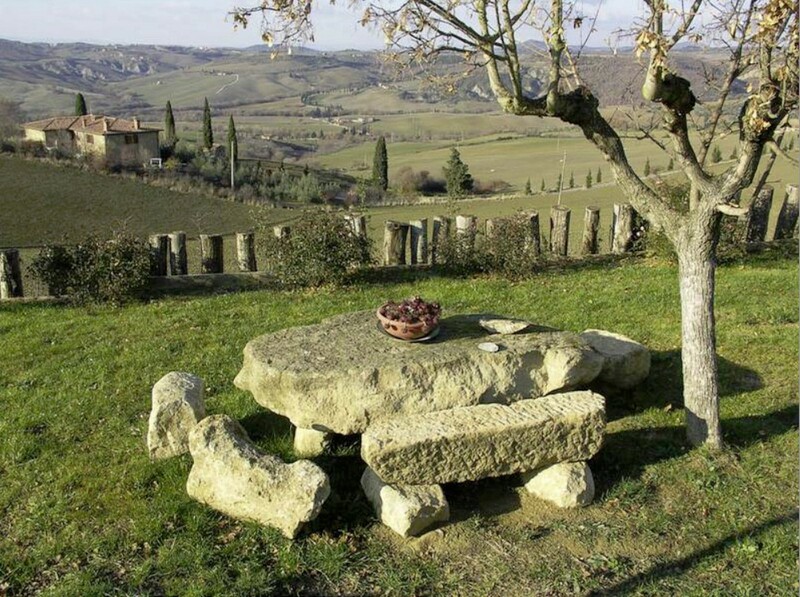 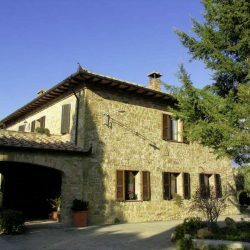 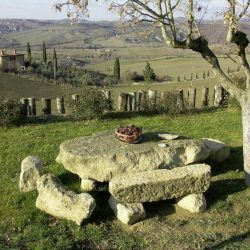 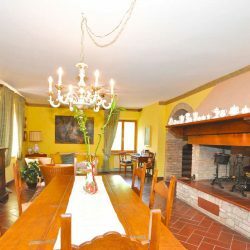 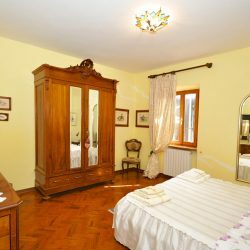 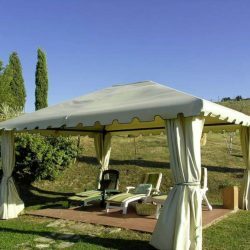 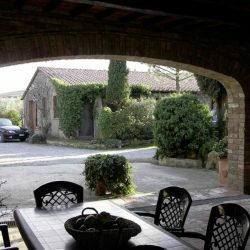 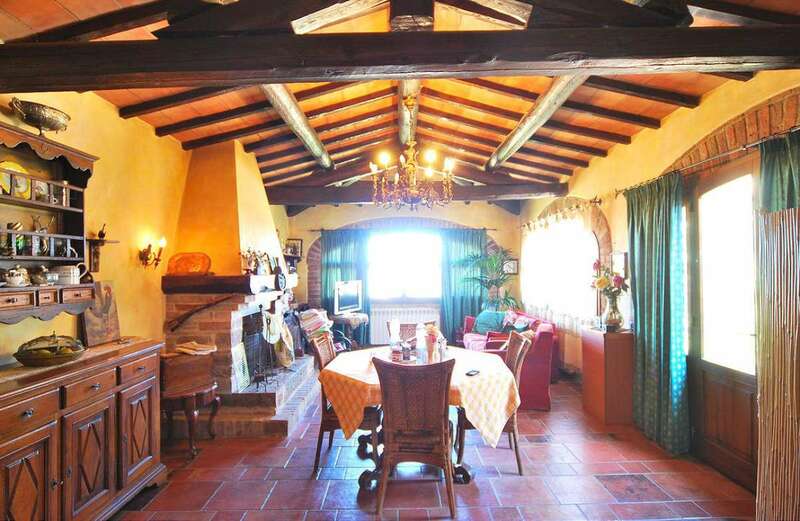 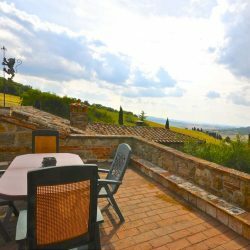 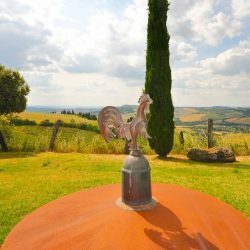 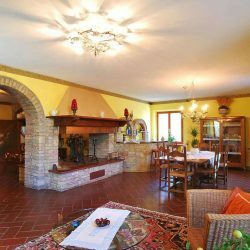 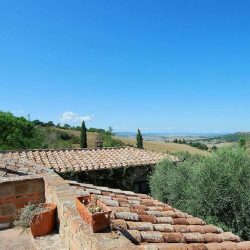 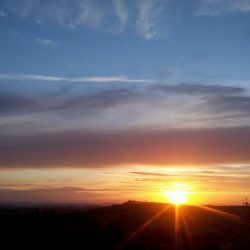 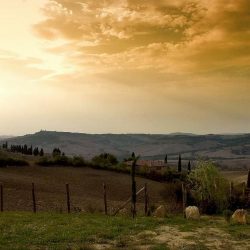 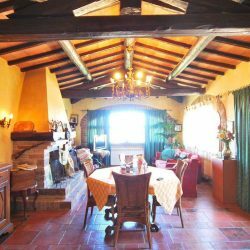 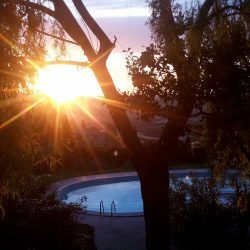 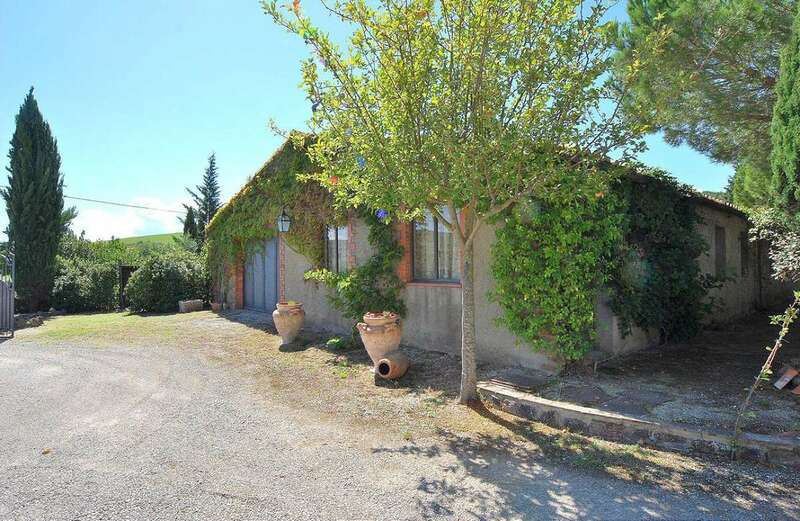 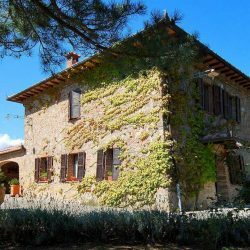 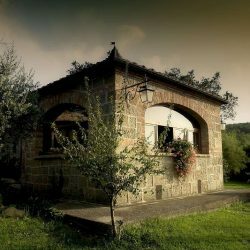 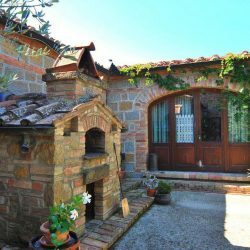 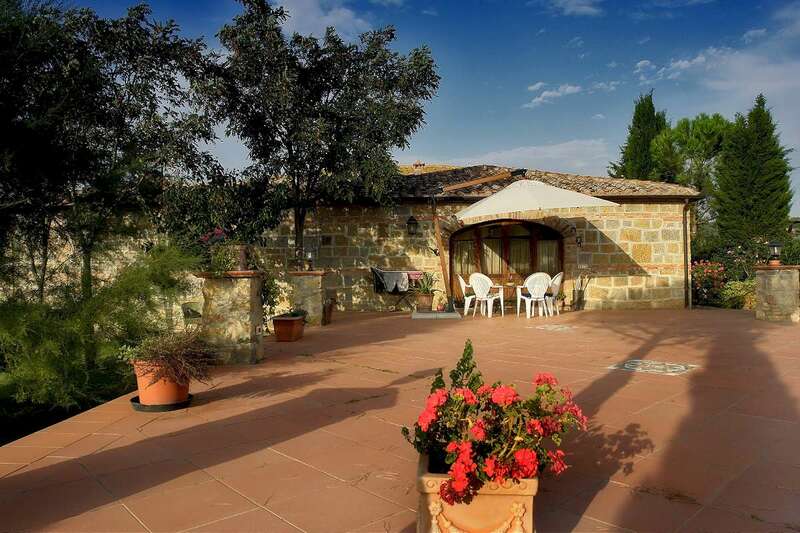 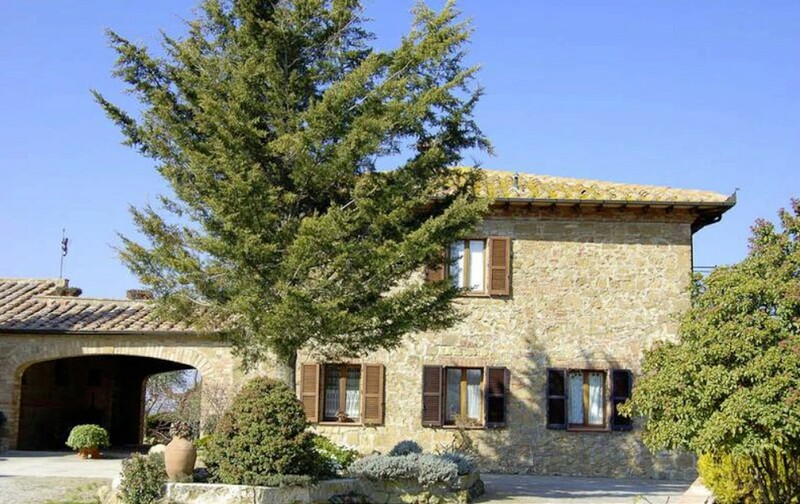 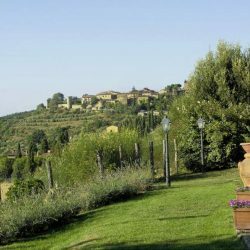 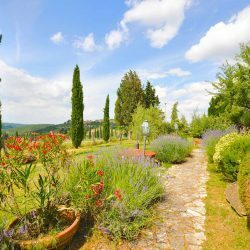 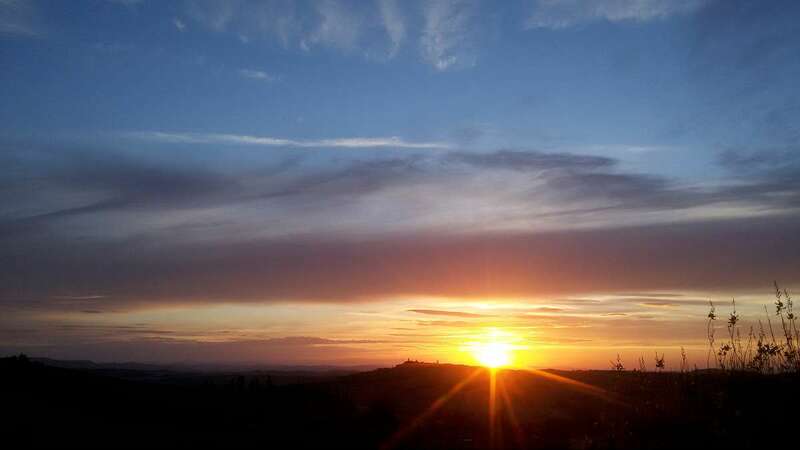 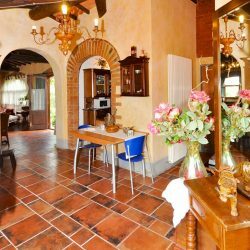 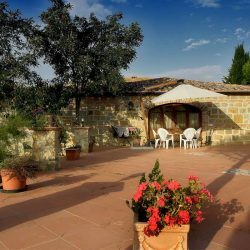 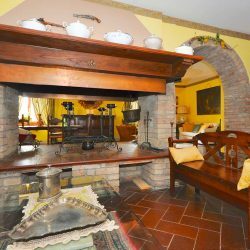 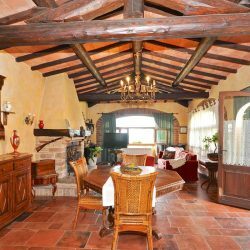 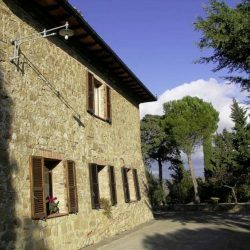 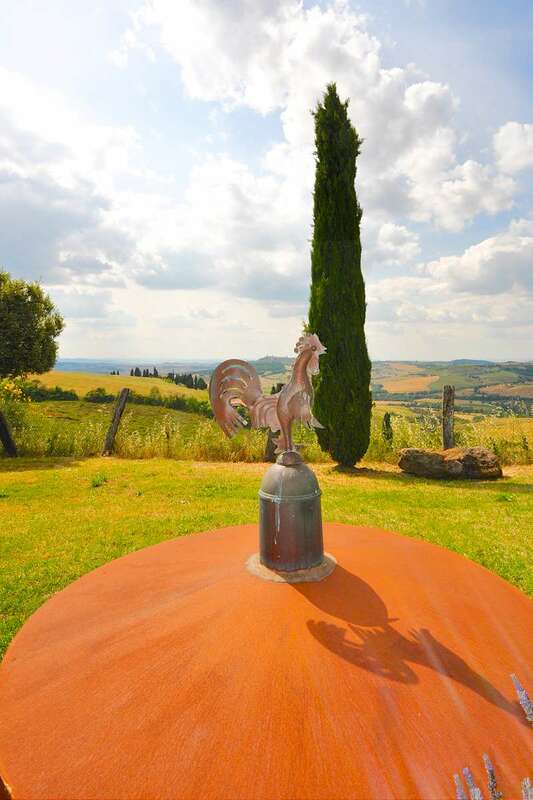 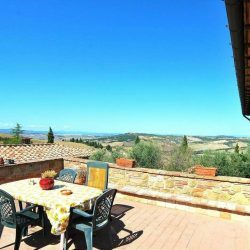 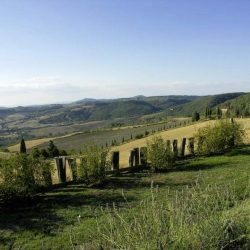 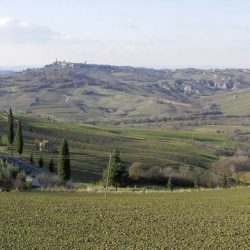 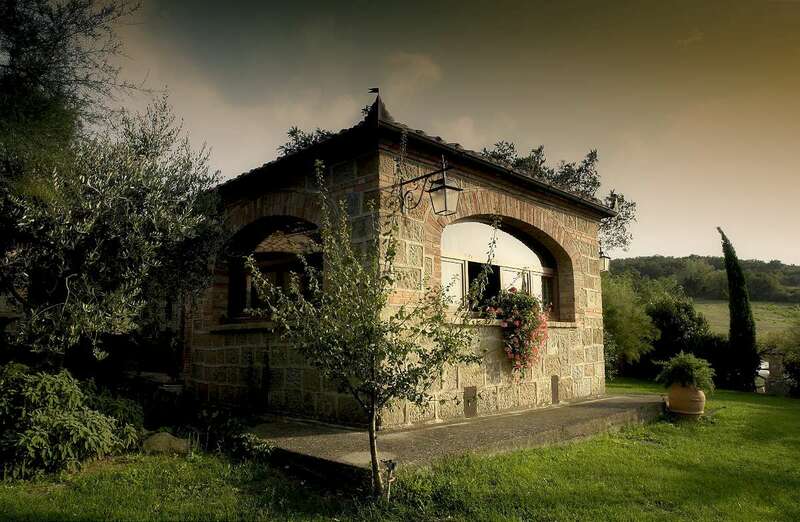 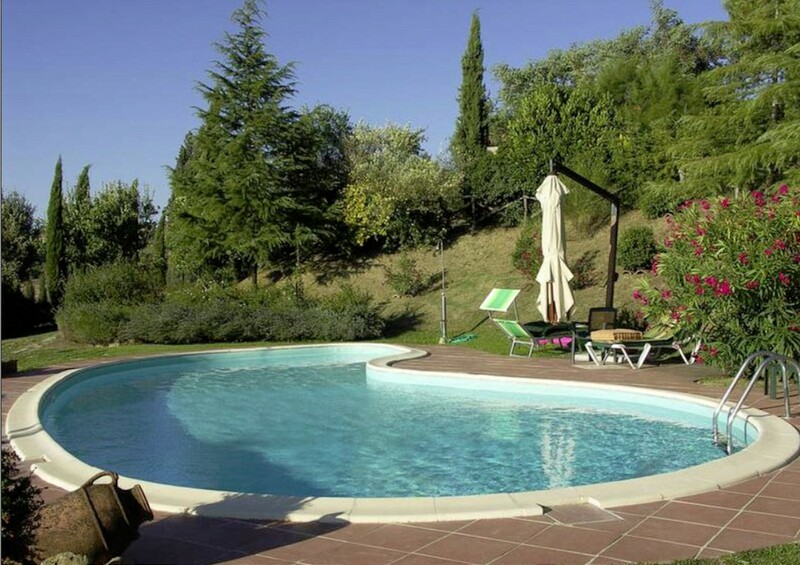 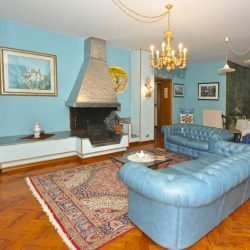 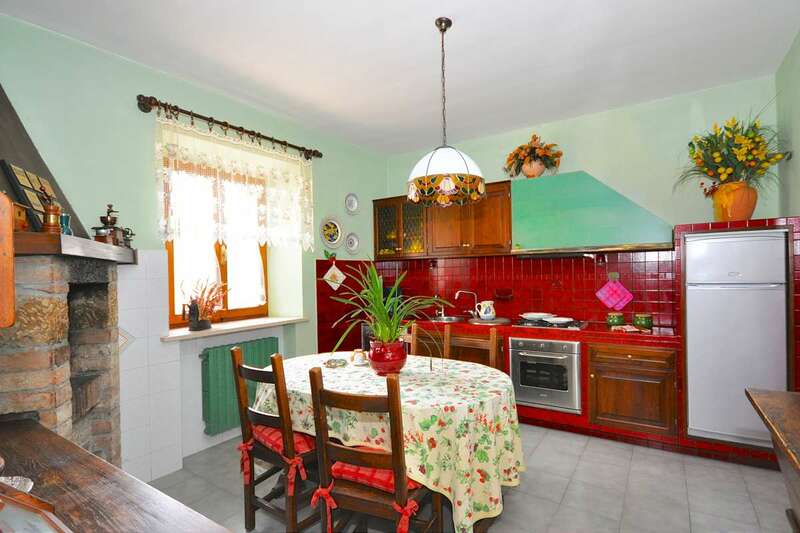 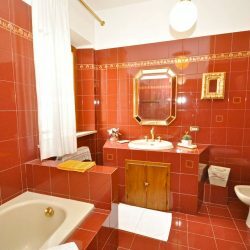 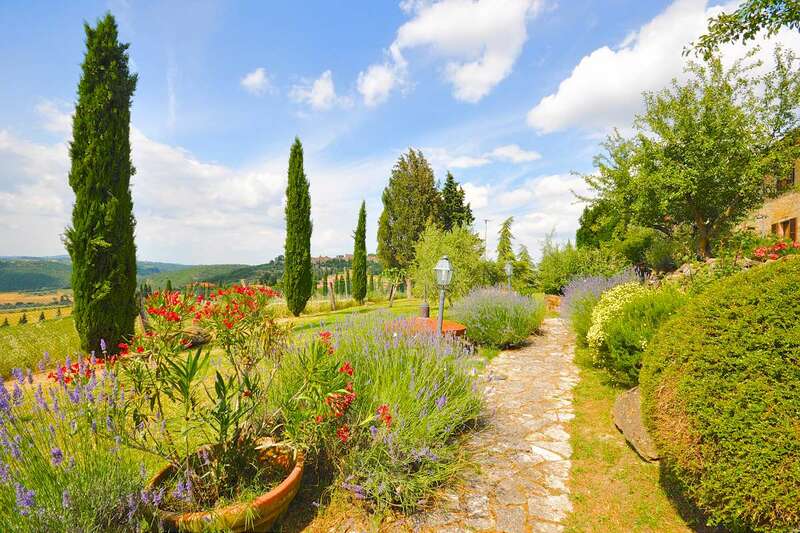 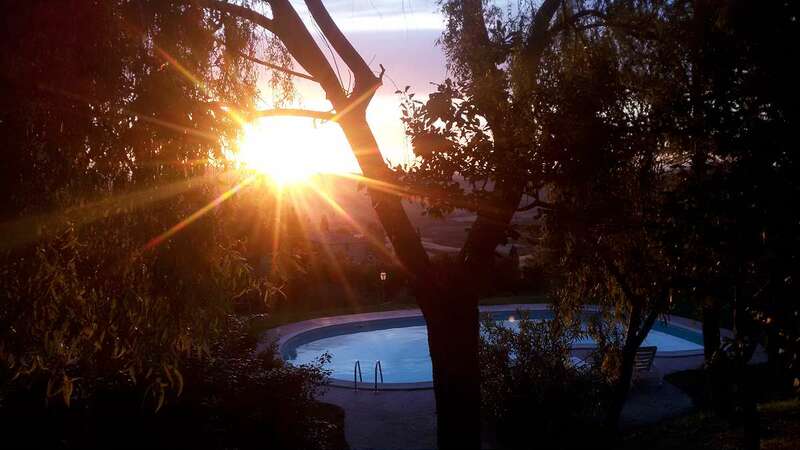 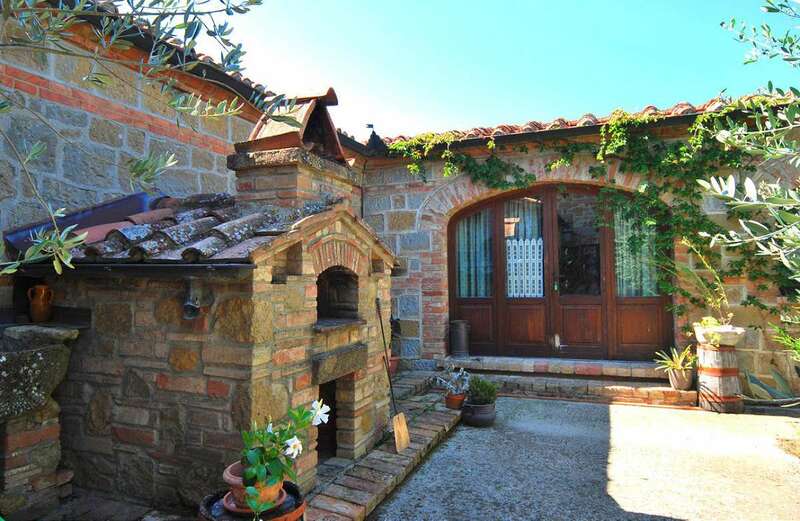 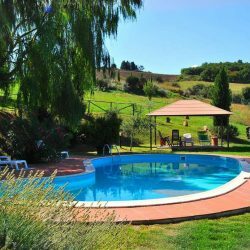 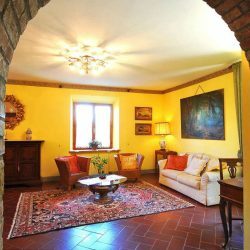 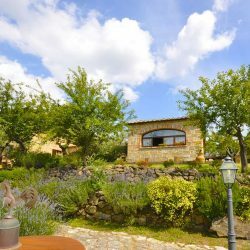 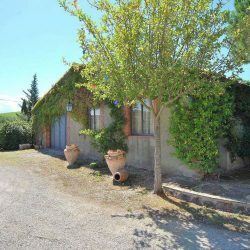 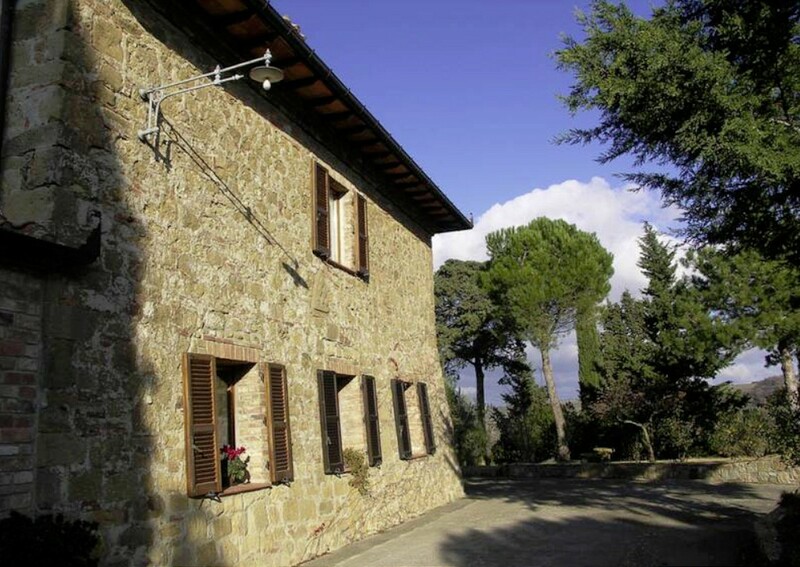 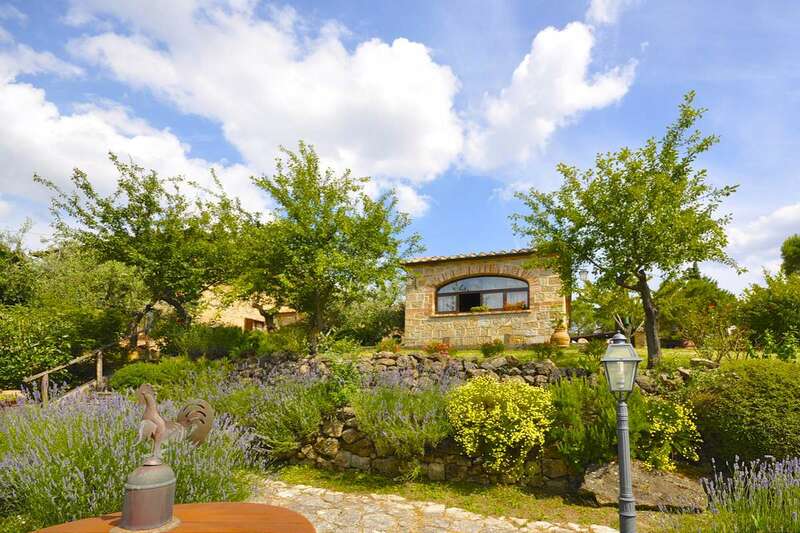 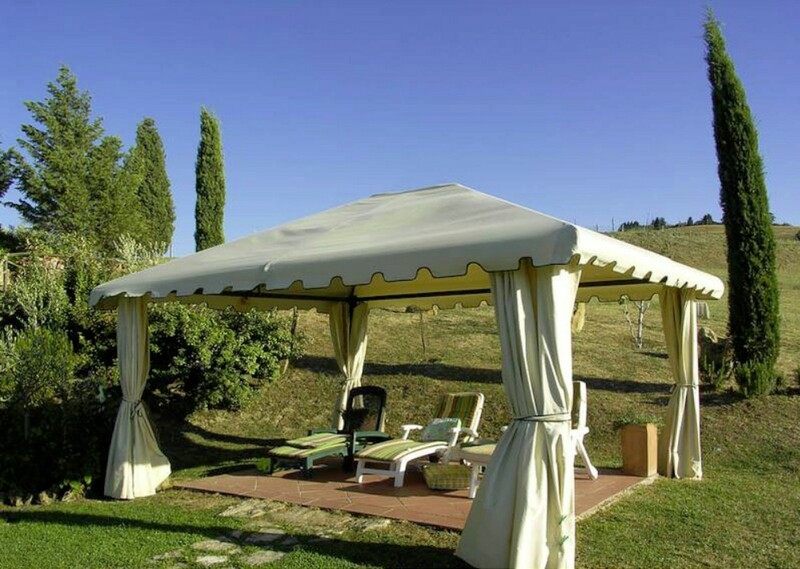 Charming, renovated farmhouse, a short distance from town, with beautiful panoramic terrace, Val d'Orcia views, annex, lake, pool. 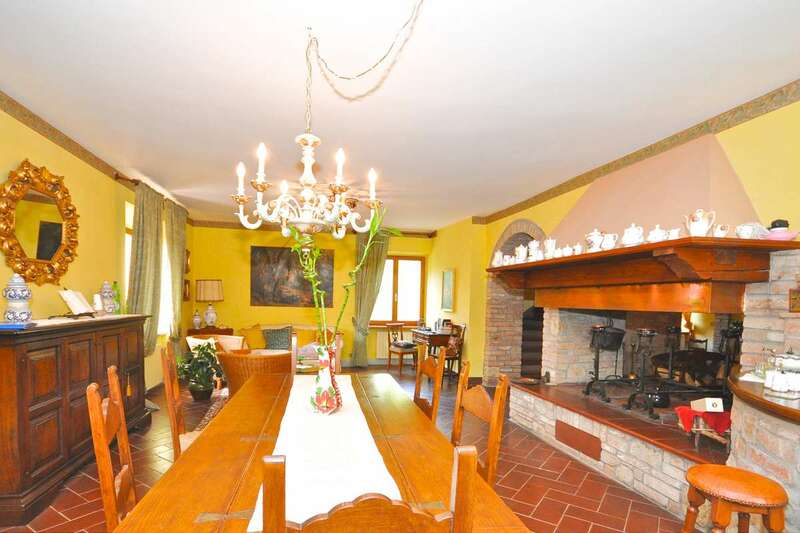 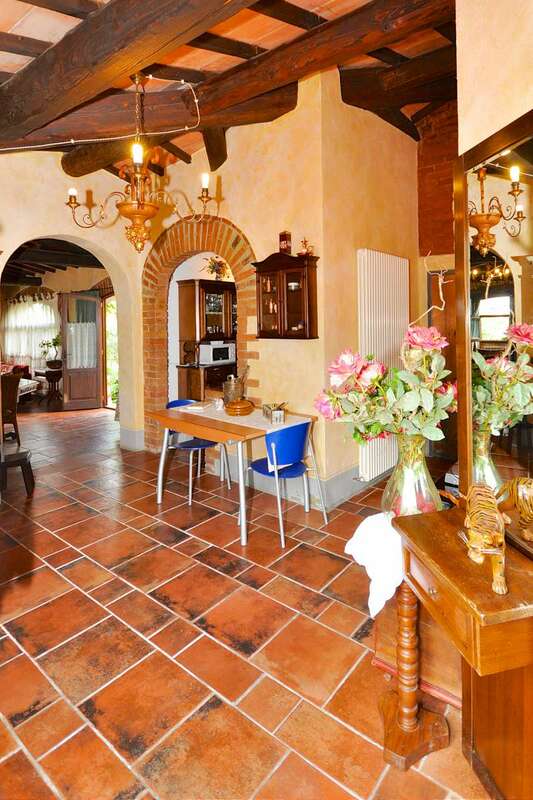 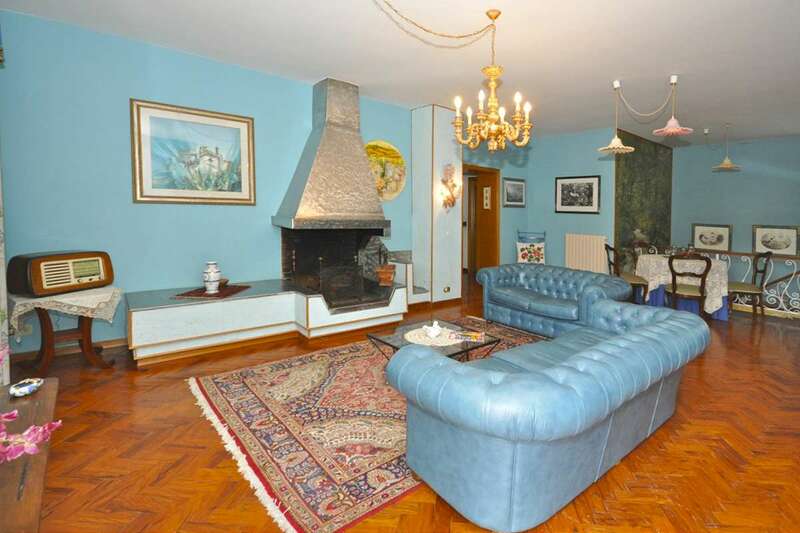 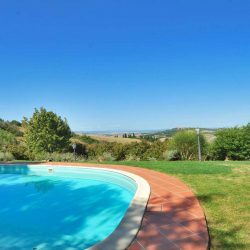 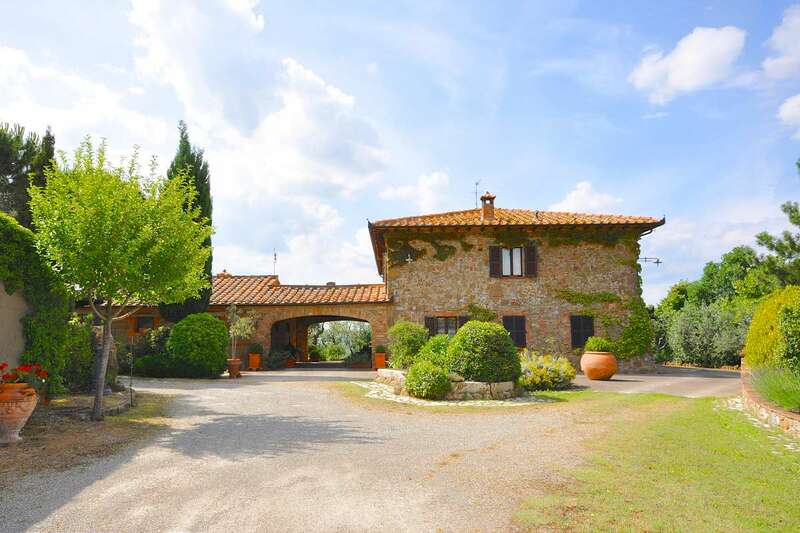 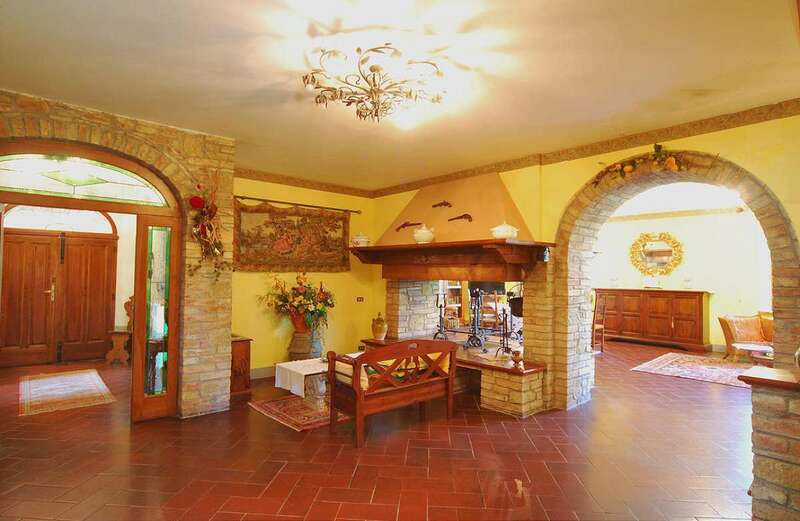 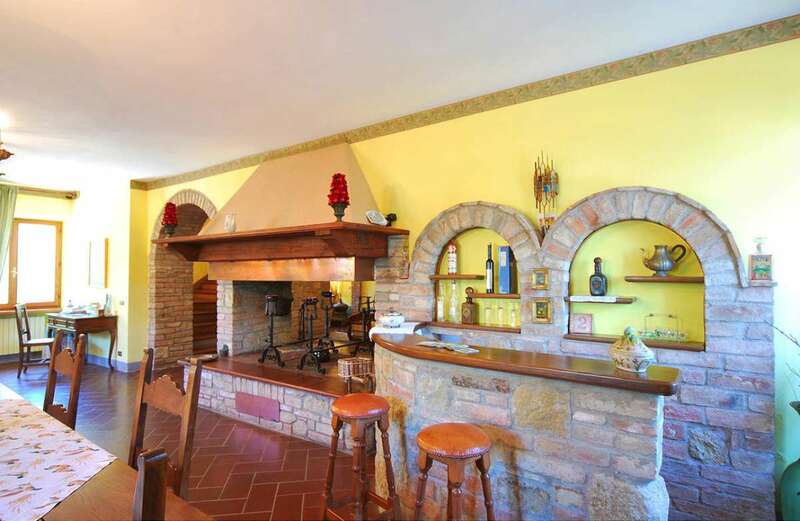 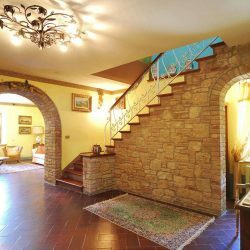 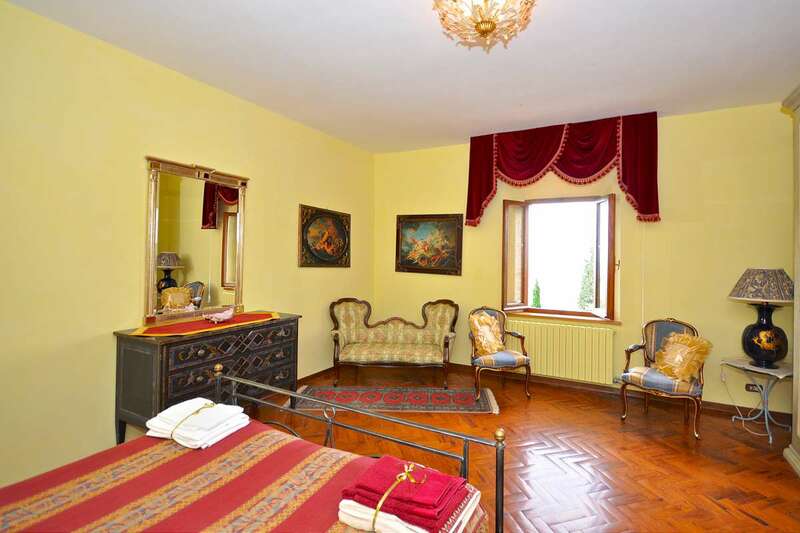 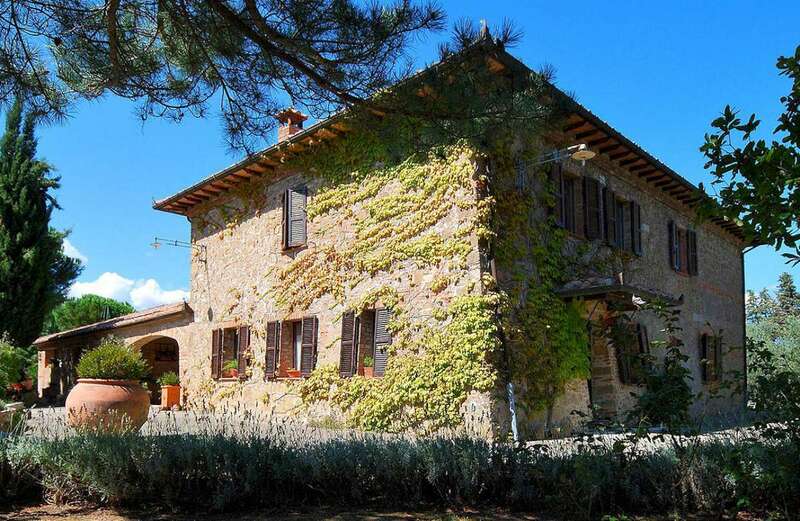 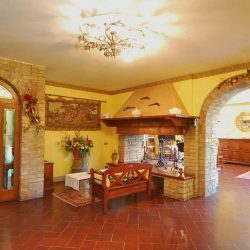 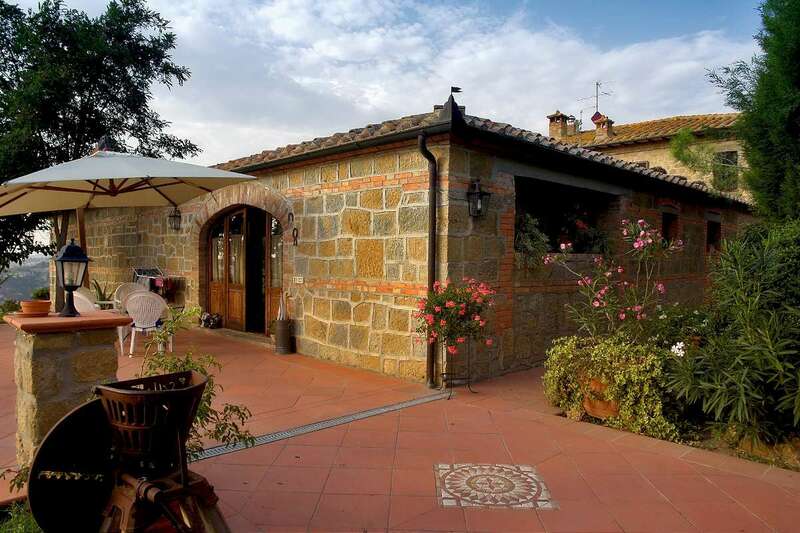 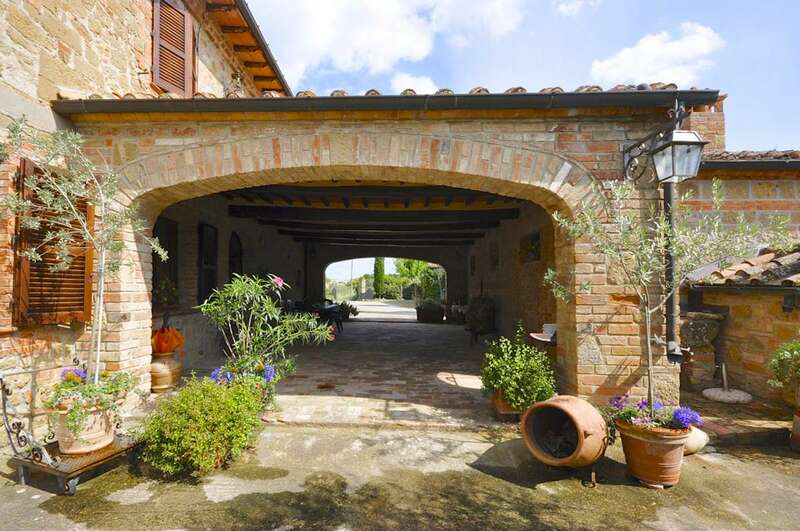 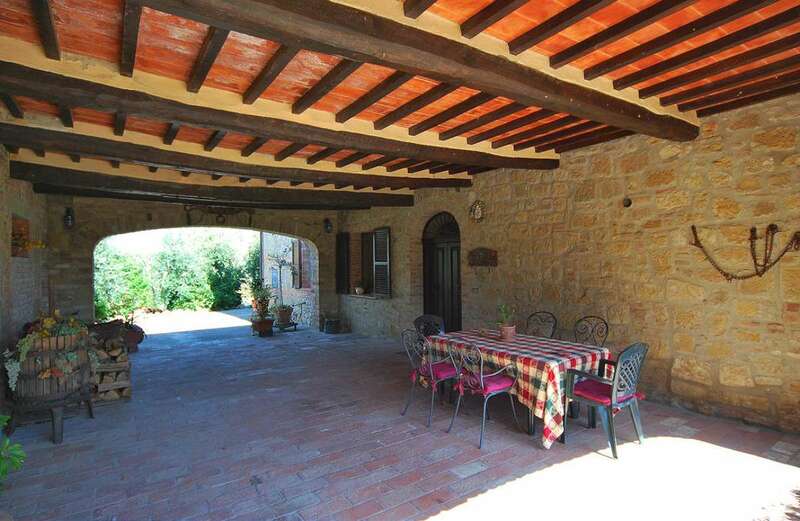 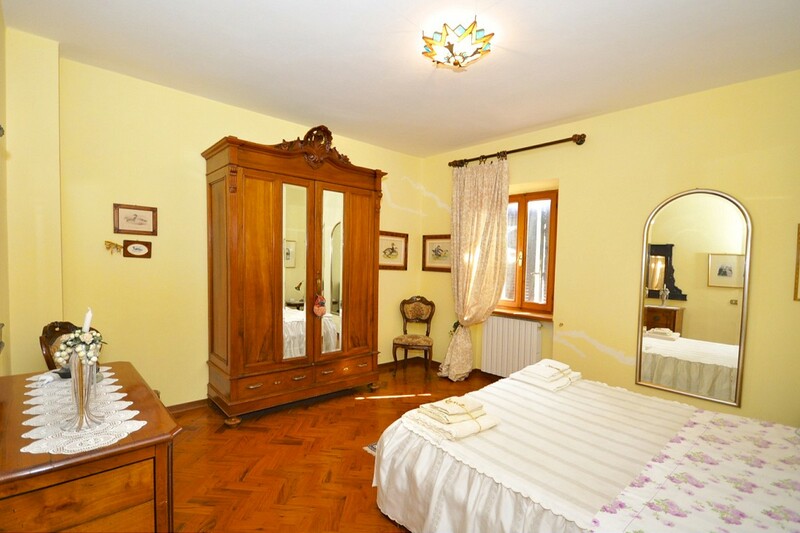 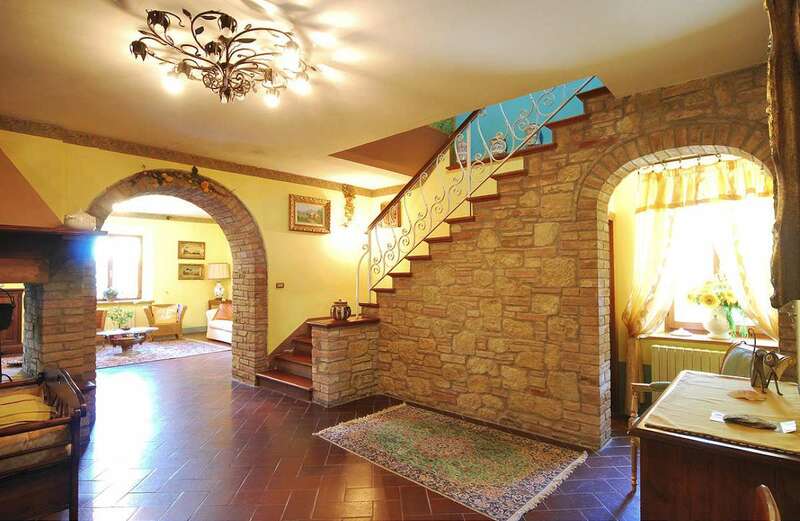 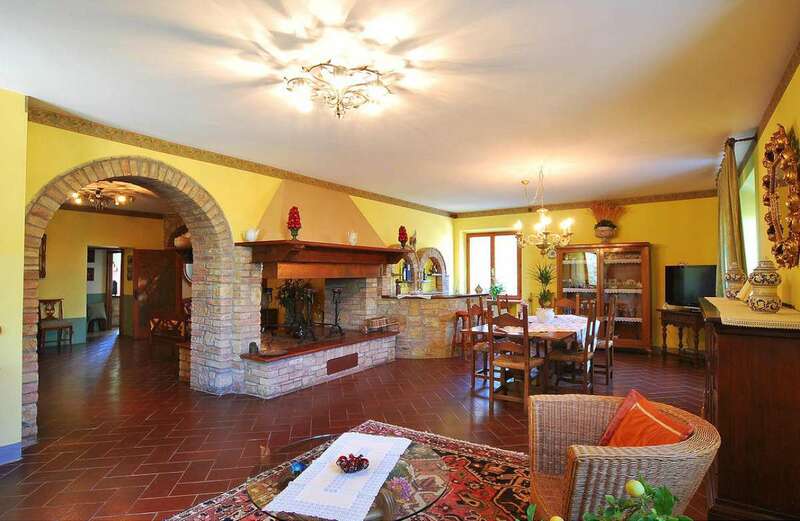 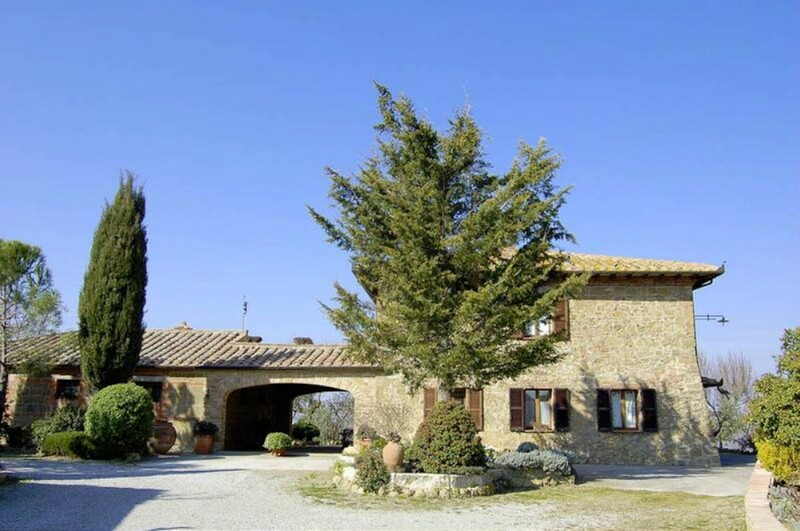 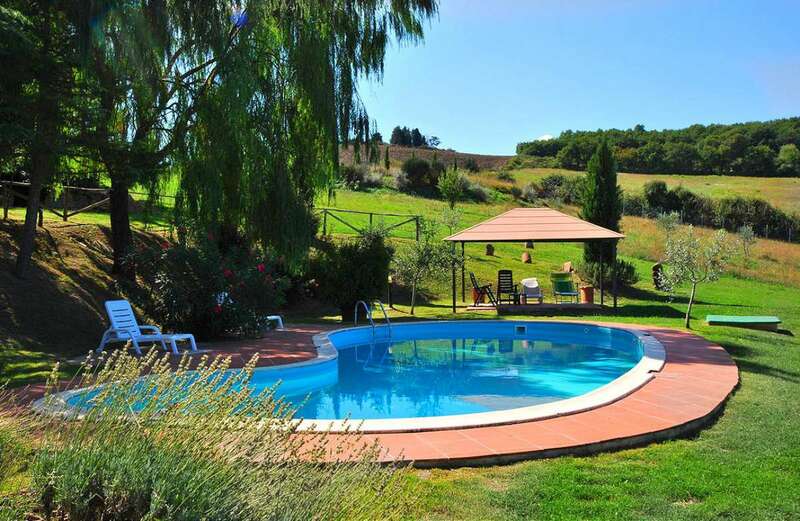 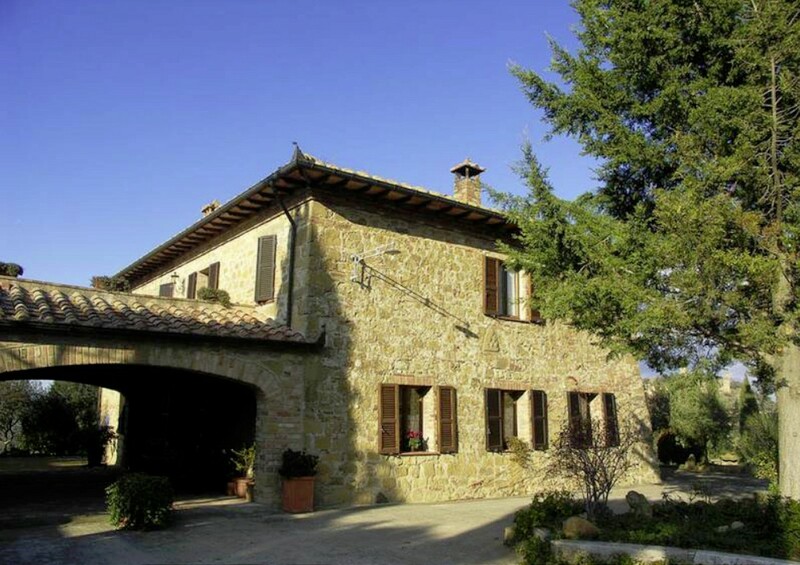 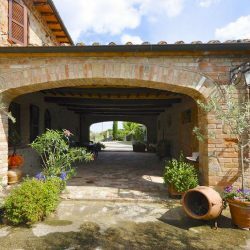 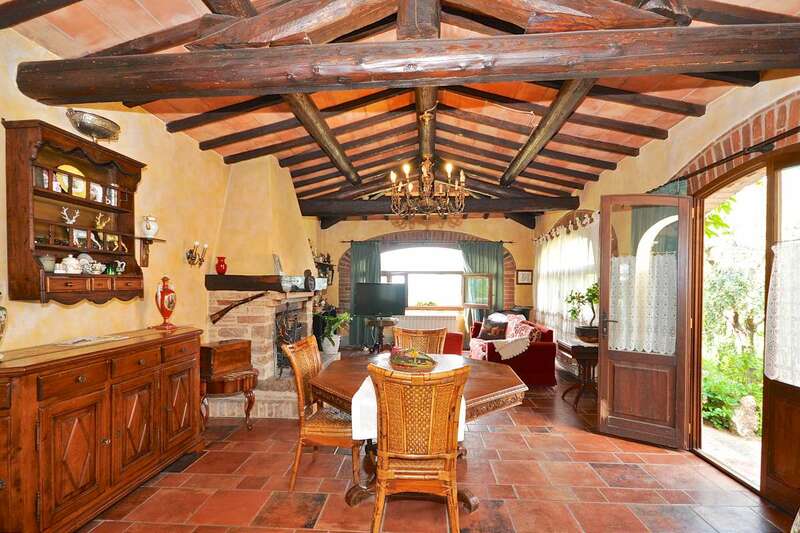 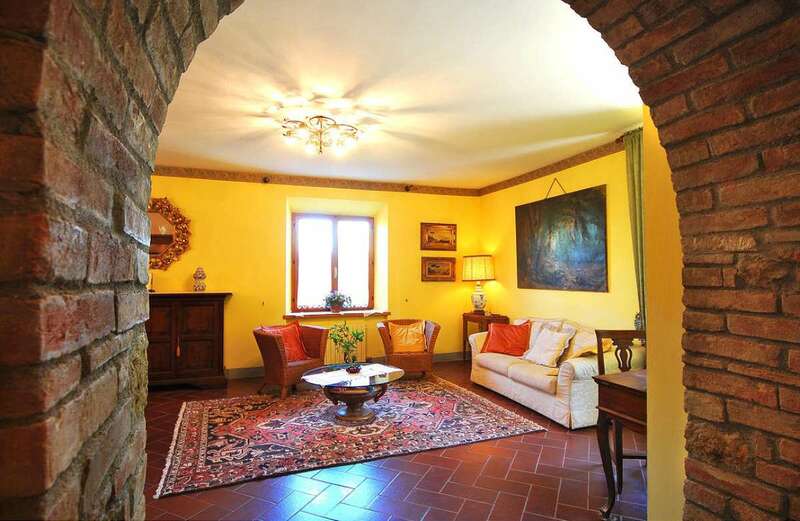 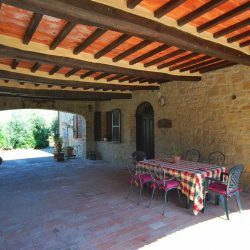 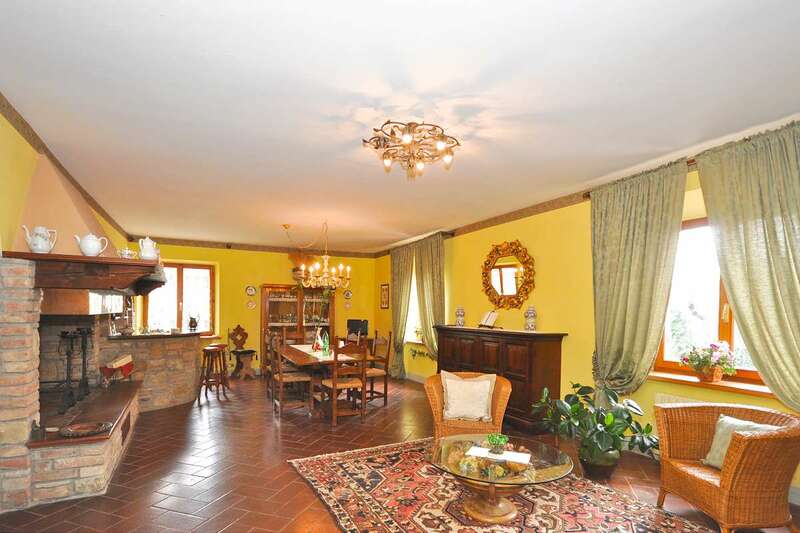 Only 5 minutes drive from Pienza, and just 500 metres from a village with several restaurants and shops, this stone country home has a lovely pool, large portico, panoramic terrace, detached annex, large fenced garden, a lake and outbuilding. 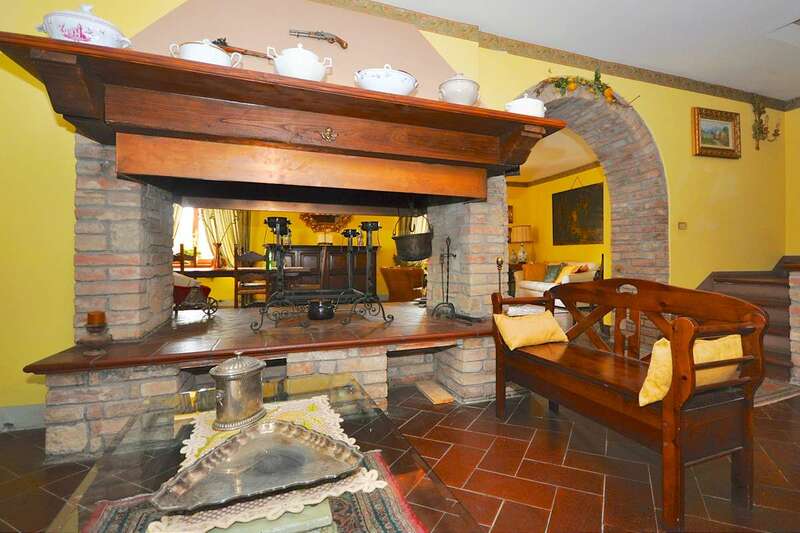 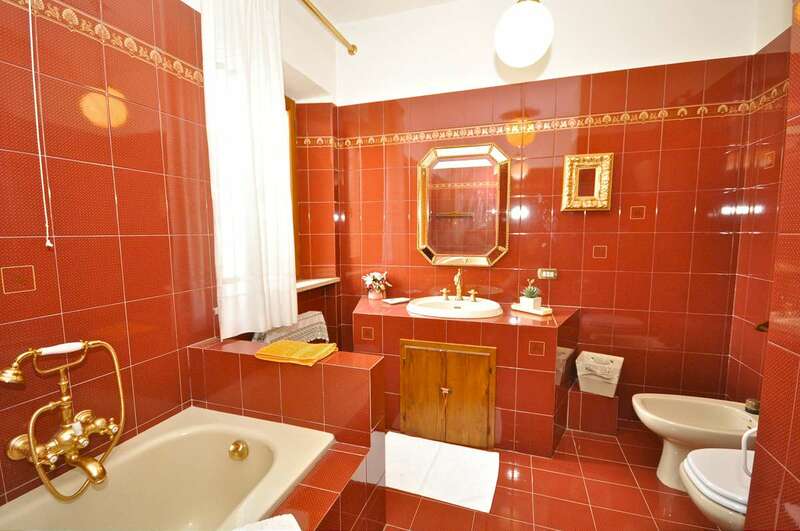 Main house, ground floor: study, a spacious living area with fireplace, kitchen, pantry and bathroom with shower. 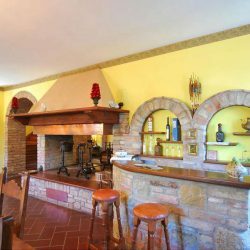 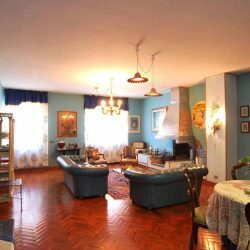 First floor: living area with fireplace, 4 double bedrooms and 2 bathrooms, access to the 30 sqm terrace with stunning Val d’Orcia views. 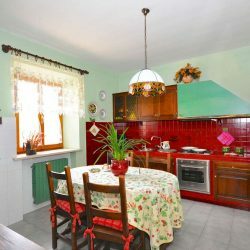 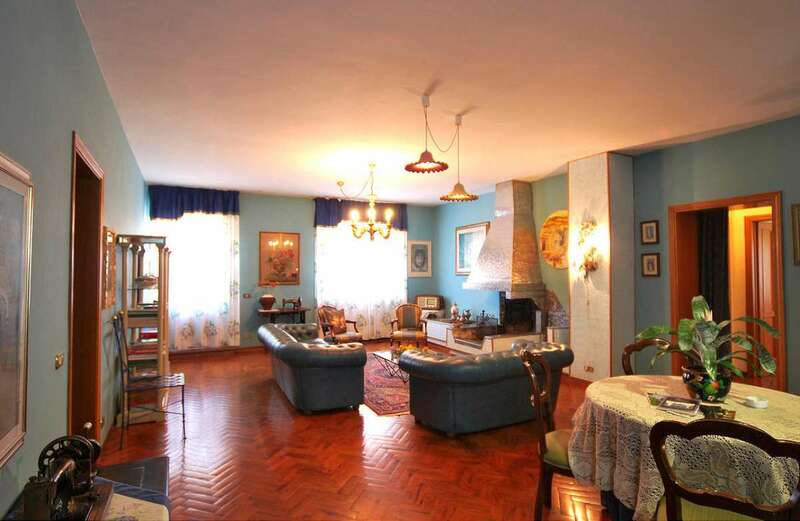 Annex: a kitchen, living area, 2 bedrooms and 2 bathrooms. 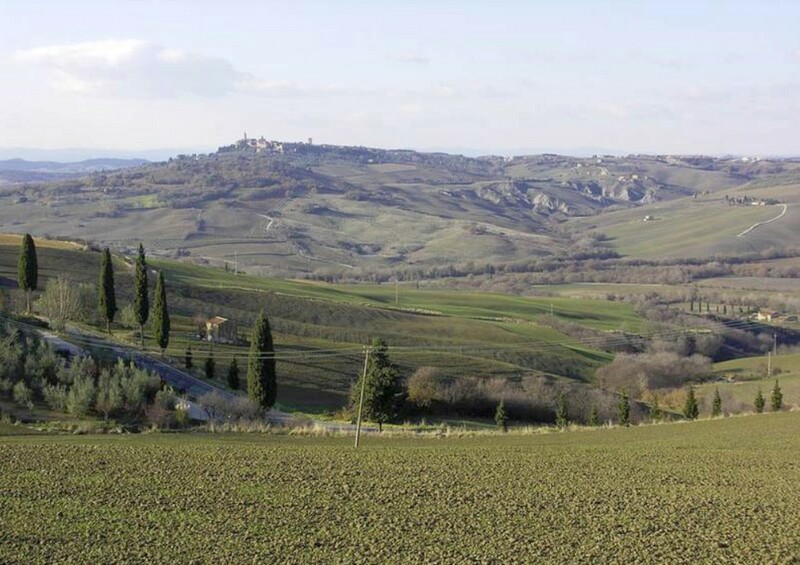 Additional land of 3 hectares available for sale. 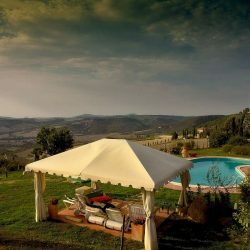 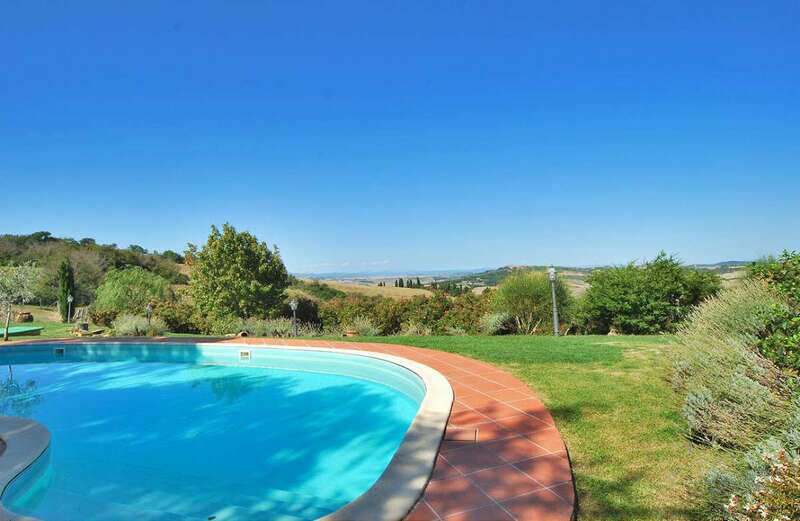 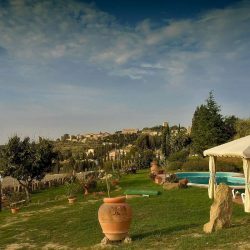 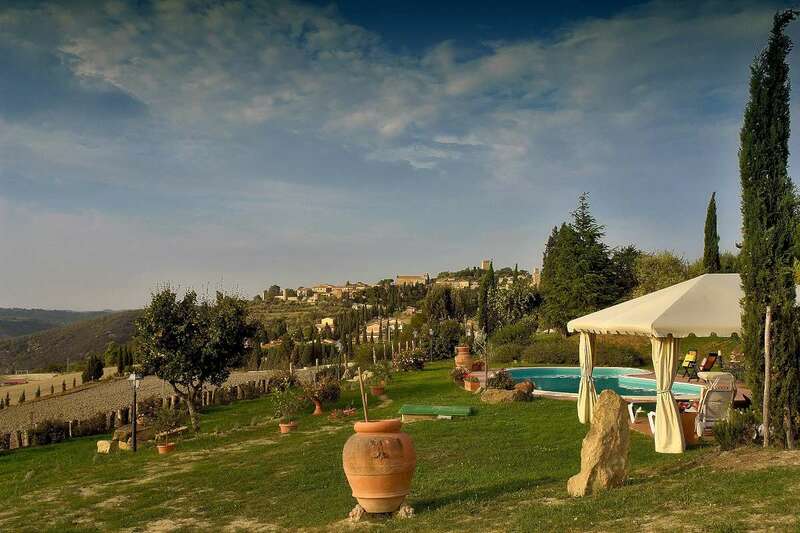 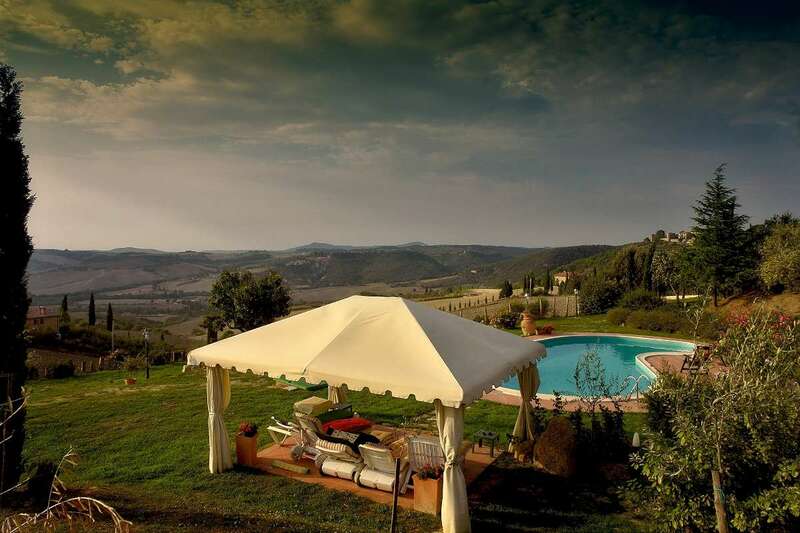 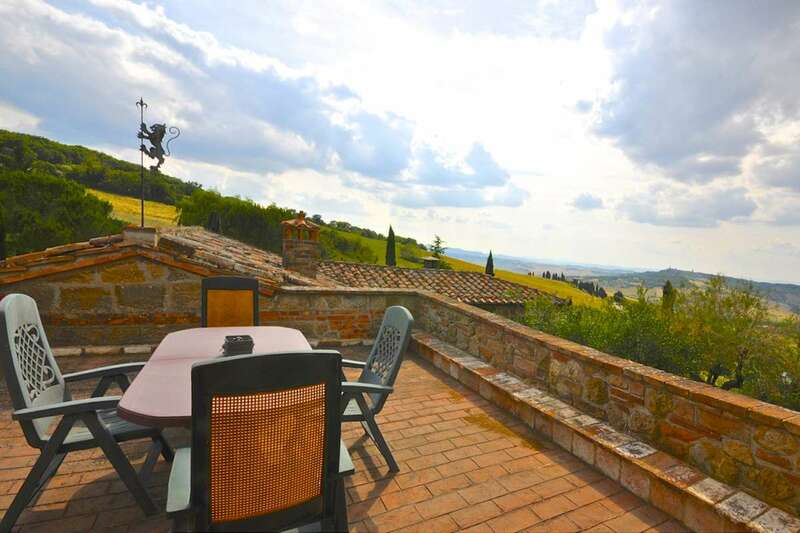 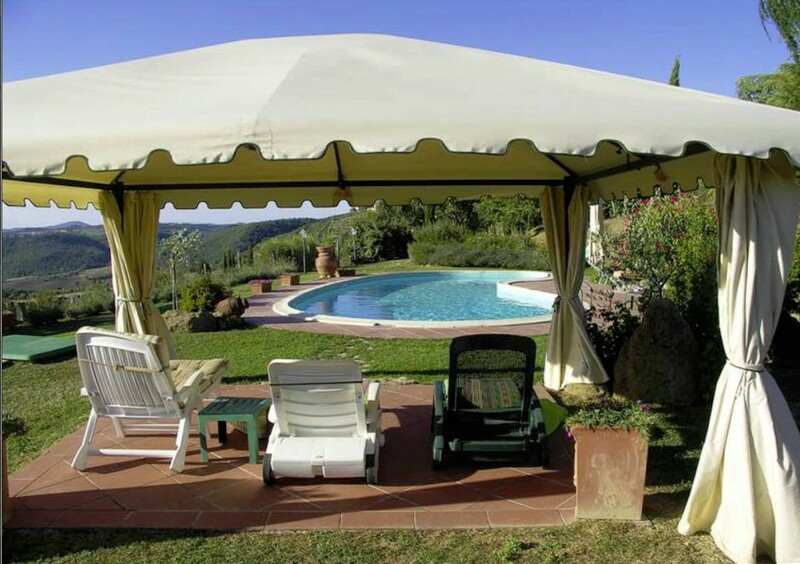 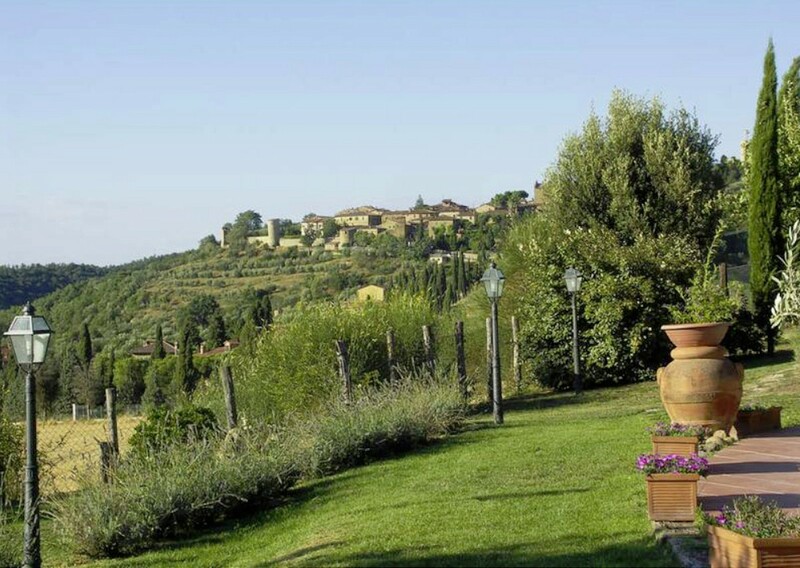 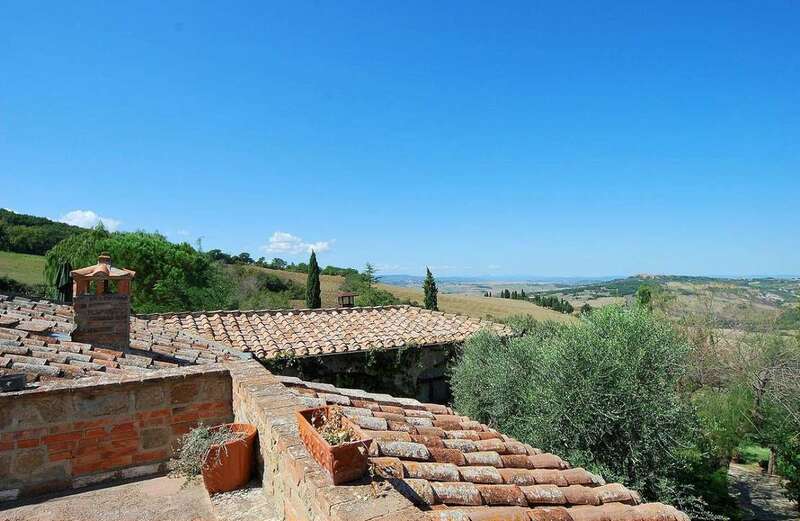 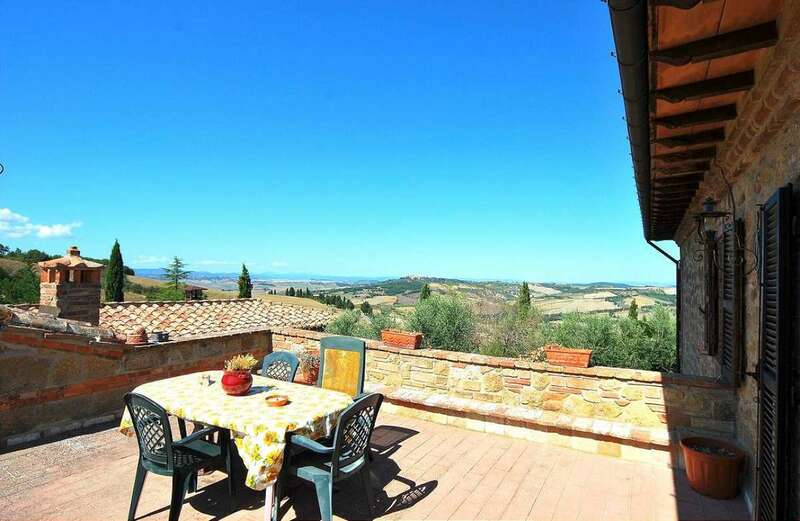 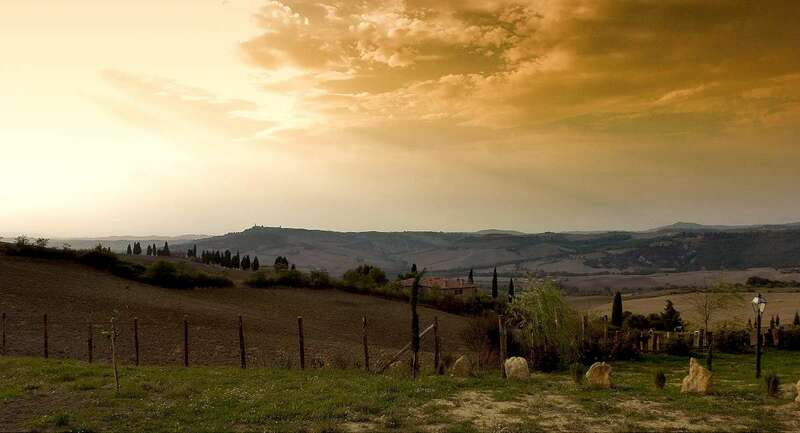 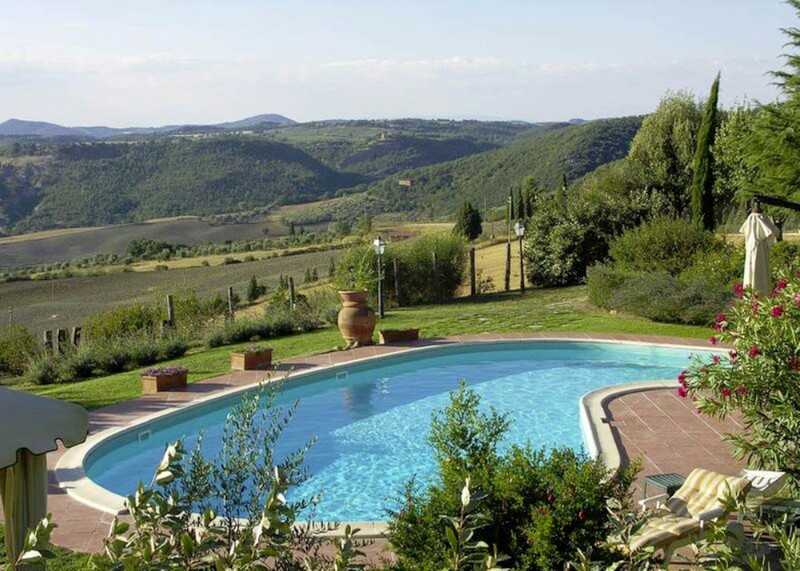 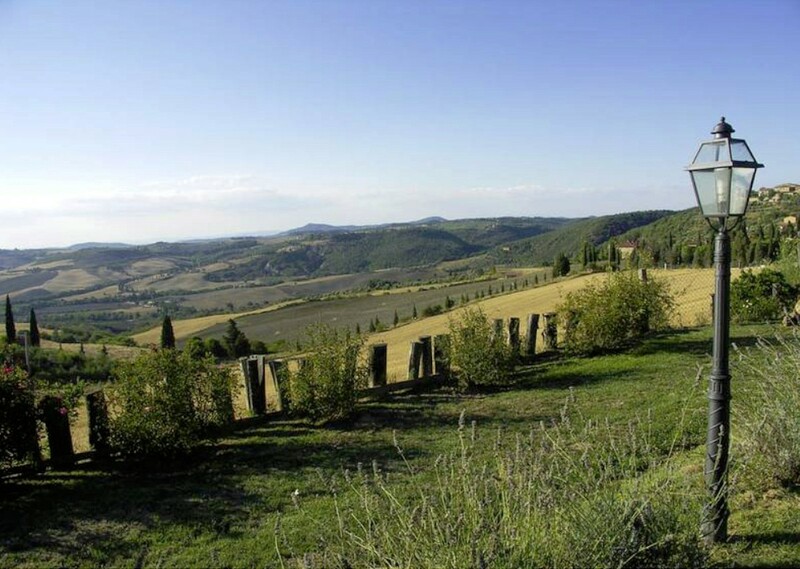 Panoramic swimming pool overlooking the town of Pienza.